Bread, cheese, meat and chocolate. That’s pretty much what fondue comes down to so who wouldn’t like it? And yet it seems like fondue is one of those food trends whose time has passed out of popularity. But you know what? It’s still a lot of fun and I’ve always enjoyed my fondue dining experiences. 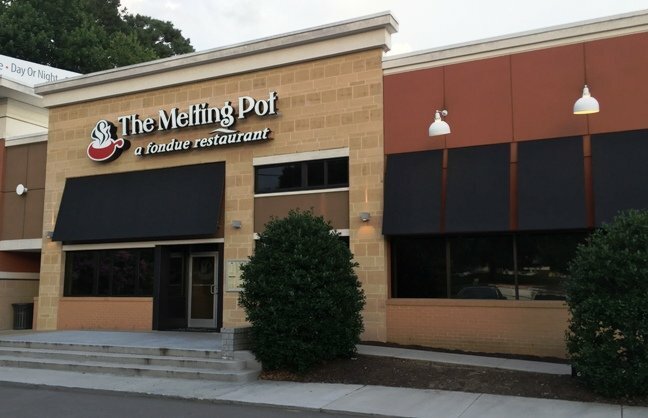 So I was glad to finally check out the venerable Melting Pot in Raleigh a while back. 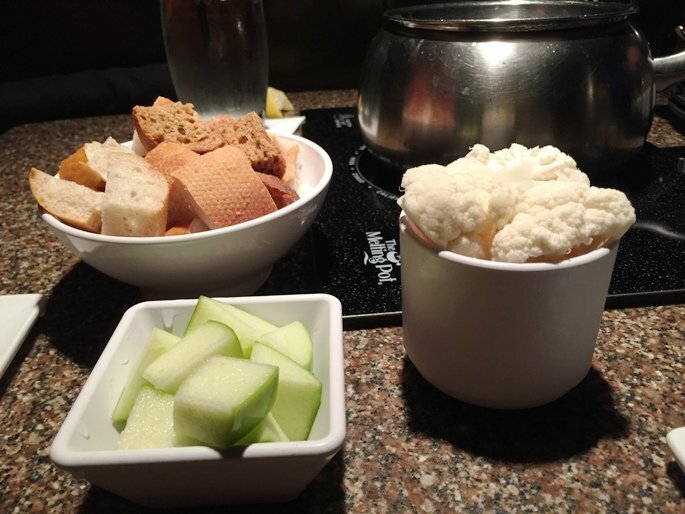 And while it may not be the BEST fondue in the area, it’s still pretty durn good! The menu here like most fondue places gives you a TON of options. The typical meal is four courses: cheese, salad, meat/veggies and then chocolate. But the key here is the variety. 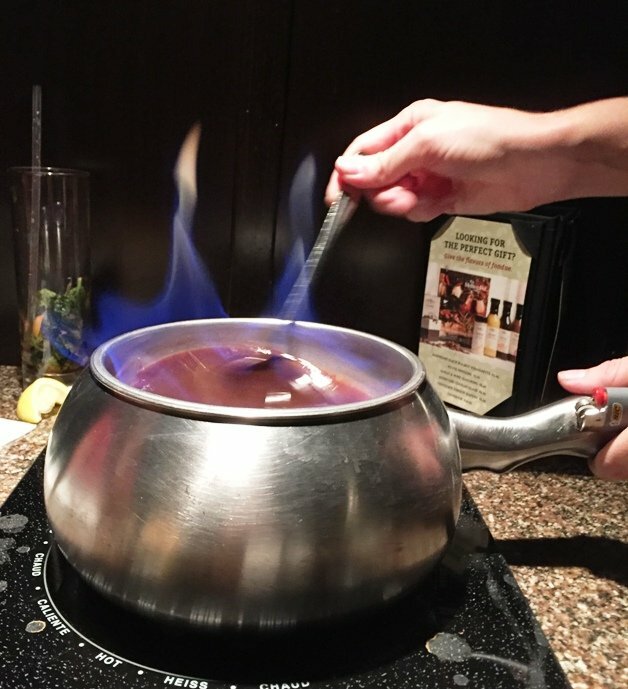 Just like my fondue fave, the Little Dipper, the Melting Pot gives you the choice of 6 different cheese fondues, 4 different salads, 9 different entree fondue types, 4 cooking styles and then 8 different dessert-chocolate fondues. And you can also do a customized option for any of the above, phew! We go with a Chicago pizza style-cheese fondue, spinach and bacon salads and the jambalaya New Orleans fondue for the main. Menus down, please! 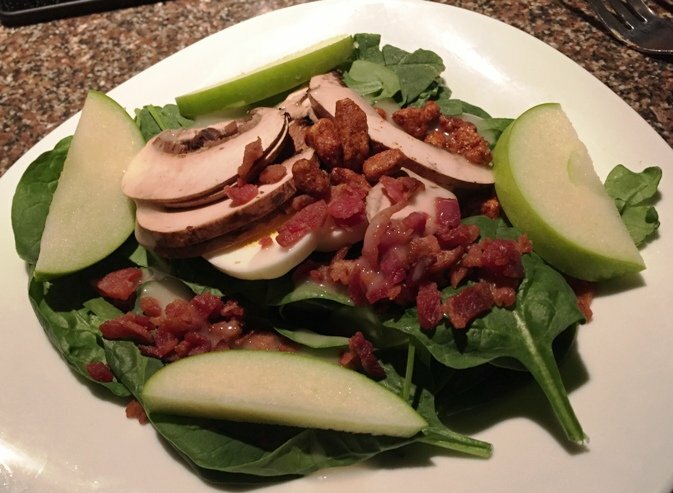 Next up is the salad and it’s a fun and not-so-healthy option of spinach greens with bacon, apple and candied pecans. You can barely call it a salad which is why I enjoy it so much! Our main courses are brought out and my friend has gone vegetarian while I’ve gone gumbo-style with Cajun seasoned sausage, shrimp, filet mignon and shrimp. Cooking times range from 1 to 3 minutes in the pot and you’ve got three skewers to manage your meal. Watch your eats closely or else it may over-cook or get plundered from the shared fondue pot! 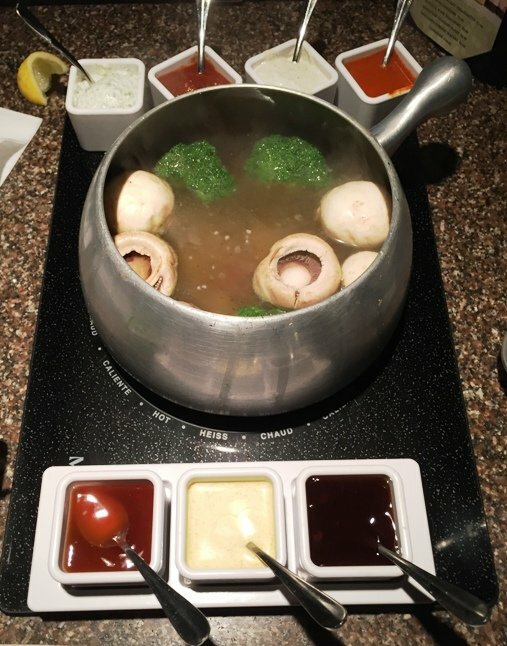 The Melting Pot does make the ordering easier by offering up an array of 7 favorite sauces ranging from bleu cheese, green goddess, yellow curry, teriyaki, spicy sauce and more. It’s fun cooking mah meat and then doing some sauce dipping to find the right flavor combo! And then finally we’re on to the dessert course, I’ve gone with the caramel toffee crunch which is flambeed with some 151 rum to heat it through. An assortment of pound cake, strawberries and fruit are paired up with this luscious and decadent chocolate sauce to finish up the evening. 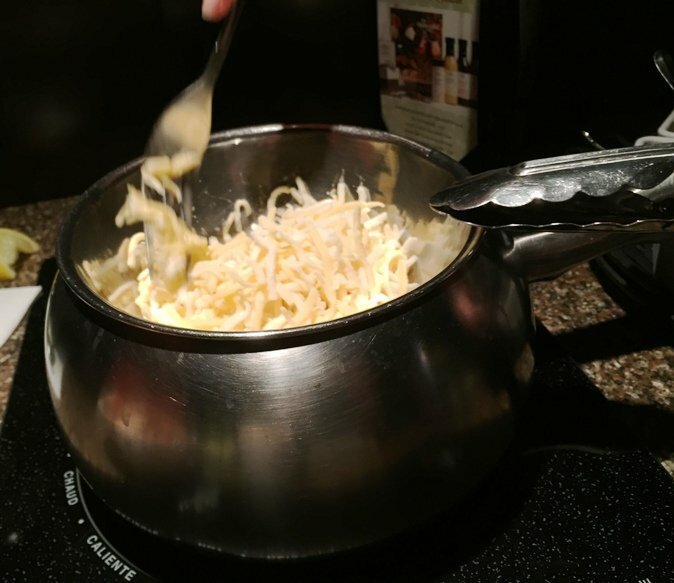 All in all a fun night at the Melting Pot which is usually the case when it comes to fondue! 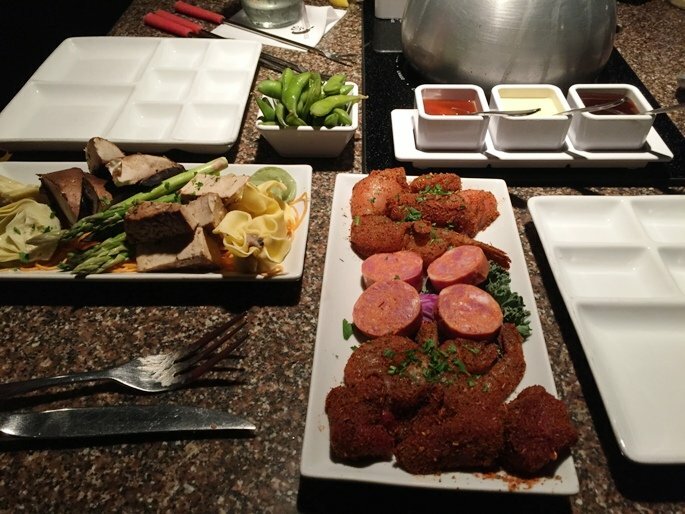 And while the Melting Pot is a chain, it holds up well for the fondue experience. Service throughout the evening was attentive and timely, kudos there. Where it falls a bit short compared to my fave, Little Dipper in Durham, is the interior and quality of ingredients. 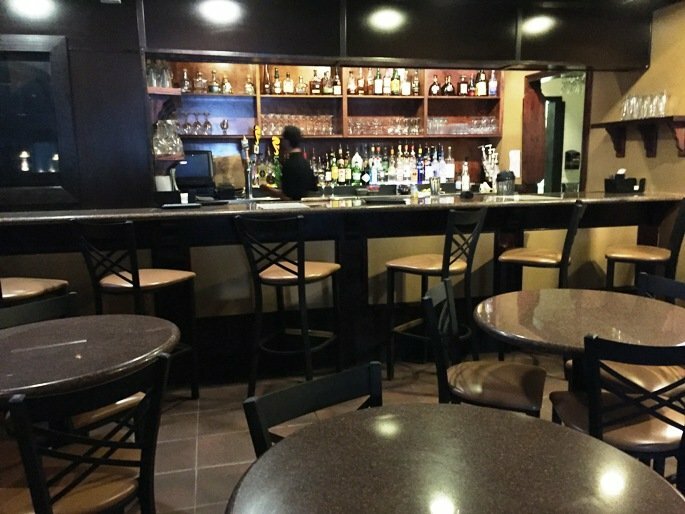 It just feels a bit more special at the Little Dipper while the Melting Pot does have a more corporate feel. 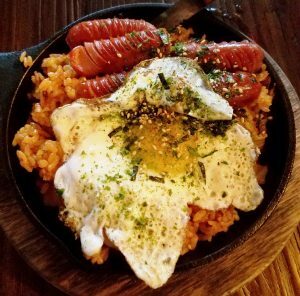 But still, you’ll have a fun time here, dipping yo eats and doing dinner in bite-sized portions. 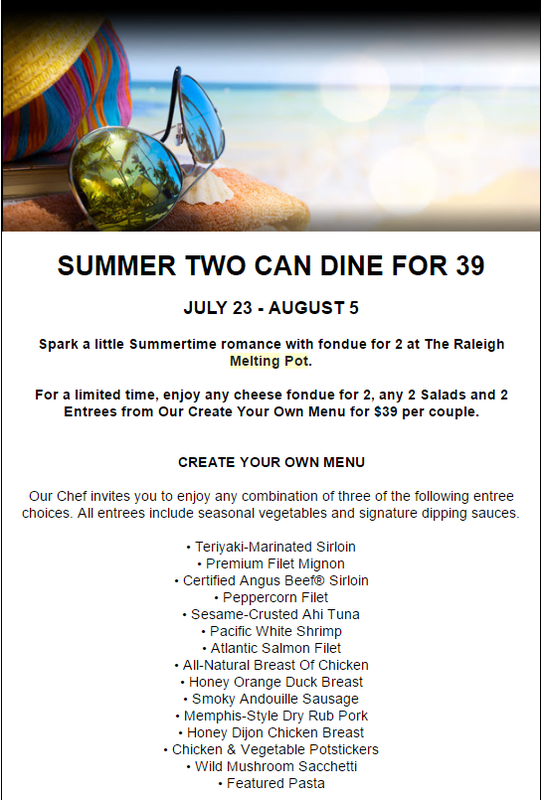 The Melting Pot is still a great spot for dates and families so don’t forget about this fondue option in the Triangle! Hi there,I check your blogs named “YouTube” on a regular basis.Your humoristic style is witty, keep up the good work! And you can look our website about free ip proxy.